Renew Wisconsin: 2015 Ride with RENEW: Our Biggest, and Best One Yet! 2015 Ride with RENEW: Our Biggest, and Best One Yet! Our 3rd annual Ride with RENEW took place this past Sunday, September 20th and was a great success! We had beautiful weather, saw some great renewable energy installations, and not only did we meet our $15,000 fundraising goal, we passed it! RENEW would like to thank all of you who sent your support and donations to us for our Ride with RENEW bike tour event. 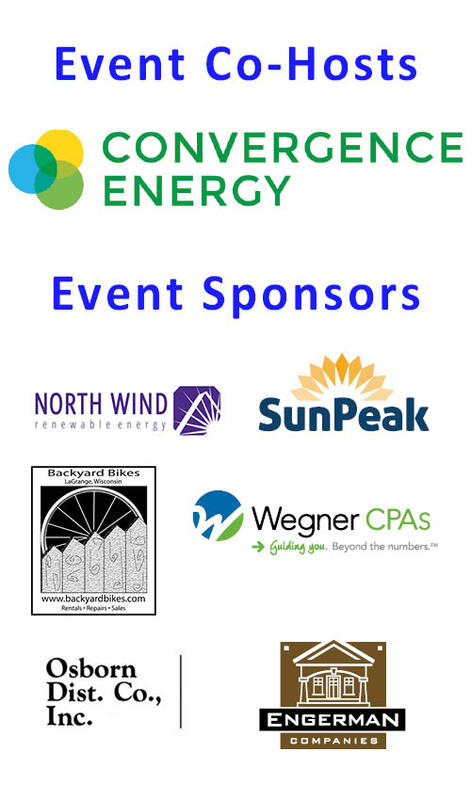 So far, 212 of you donated over $15,000 to support this event and work toward a clean, renewable energy future in Wisconsin. Thanks to you, we were able to meet John and Mary Frantz’s fundraising challenge of $15,000 which they agreed to match, bringing our total to over $30,000! We are humbled by John and Mary’s continued generosity towards RENEW Wisconsin, and thank them for all their support over the years. We also had our highest biker turn out ever, with 36 riders joining us in Lake Geneva! Thank you to everyone who came out and rode for renewable energy. We want to share with you some of the highlights of the bike ride, so we created a photo album on our Facebook page. 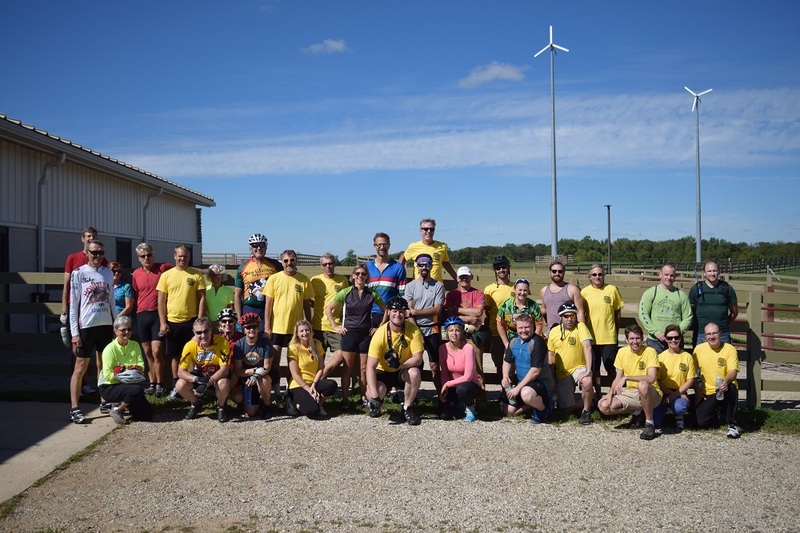 The 2015 Ride, our third annual, was our biggest and best one yet! We began our journey with the toughest segment of hills, up to the LEED Platinum certified house of Steve & Karen Johnson of Convergence Energy, our co-host. Steve showed us his beautiful home, as well as the solar PV installation on his garage. From there we ventured over to Gaea’s Farm on State Line Road. Gaea’s Farm provides stable space for horse owners, and also has an arena for shows. The net-zero energy facility includes 100 kW of solar, two small wind turbines, and geothermal pipes which keep the horse barn cool in the summer and warm in the winter. Next, we stopped by Easy Living Equine Sanctuary, a horse rescue operation. Here, we not only viewed another excellent solar installation, but we had lunch (thanks Convergence Energy, Jimmy Johns, and Potbelly for your contributions!) with a great view and made friends with some of the horses. After that, we visited Engerman Contracting, who installed its own solar panels after installing clean energy for several clients. 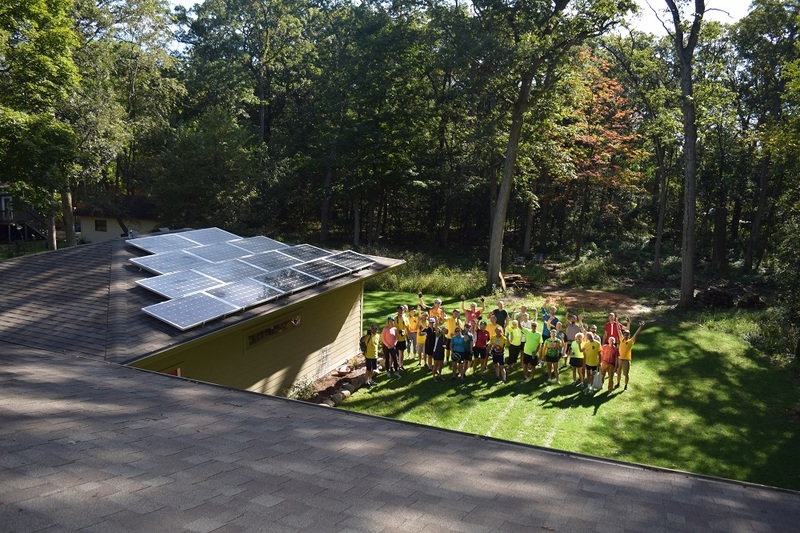 Our last stop on the main loop was the Franke residence, an Engerman client with solar shingles on their roof. Then, four people biked and the rest of us drove out to the Convergence Energy solar farm, hosted on the property of Dan and Sandy Osborn. 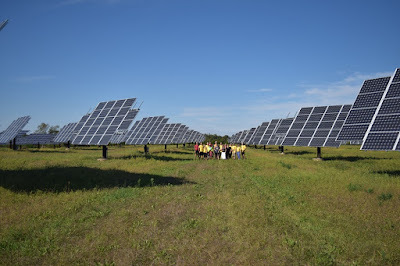 The solar farm is 680 kilowatts of solar, one of the largest solar installations in the state of Wisconsin. All in all, it was a fantastic Sunday at the end of September, riding for a really great cause and fun adventure. Many thanks to all who participated as riders, sponsors, supporters, logistic planners, and renewable site owners. Special thanks to John and Mary Frantz who are doubling the efforts of all our Ride sponsors with their match, and also to John Kivlin and Steve Johnson of Convergence Energy, who did a wonderful job planning our route and stops for the day. If you donated $35 or more, you are now considered a member of RENEW and we are happy to have you with us. You will receive e-newsletters from us and can keep up to date via our website and blog. We have a number of events coming up around the state, so be sure to check out our events calendar.